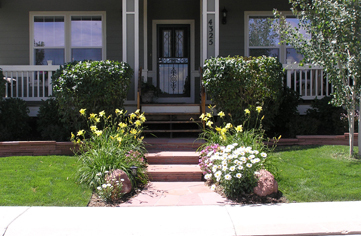 Are you sick of looking at a landscape that looks outdated or is overgrown? Did you inherit a messy and unplanned landscape when you bought your current home? These are a few questions that we can help remedy with a simple call to set up an initial consultation and walk-through. There we can determine whether it is time for some basic renovation or whether it is time for a complete overhaul and transformation.